Whether your outfit calls for a clutch, satchel, crossbody or tote, Oribe's new Purse Size sprays make the perfect addition to bags of all shapes and sizes. Now, you can take your favorite products with you for easy styling and touchups. 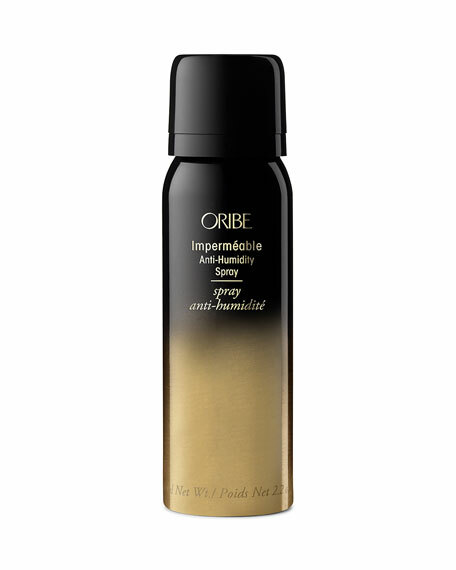 Impermeable Anti-Humidity Spray helps you brave all the elements and keeps your hair looking great wherever your days (and nights) may take you. E as Evocative. An elusive freshness wafts from the notes of strawberries and plums, accompanied by scented flowers of iris, freesia, jasmine and rose. These are enclosed within an intense final trail based in leather, tonka beans and cedar-wood. 30 mL/ 1.0 fl. oz.